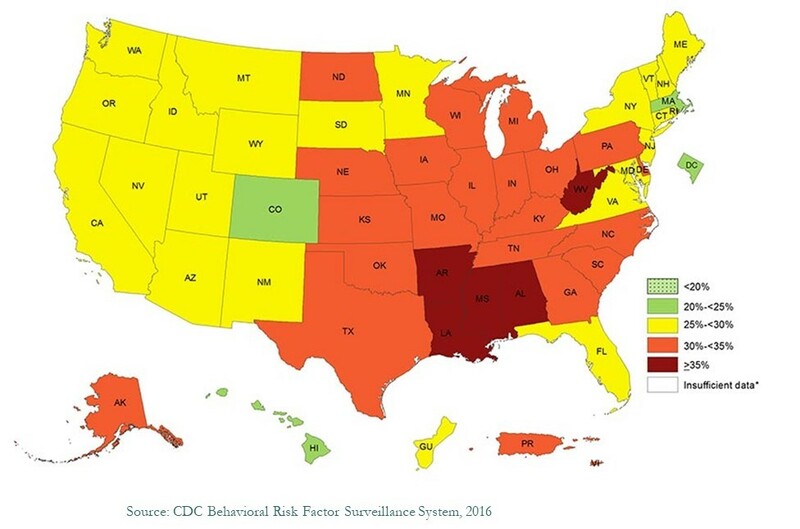 Figure 1: Obesity rates now exceed 30% in 25 states. Traditional anti-obesity initiatives have often used a “one-size-fits-all” approach and have focused primarily on marketing restrictions, consumer education and regulations that address the population at large. Food policies are often crafted by those who understand the importance of nutrition and who already are taking steps towards eating healthier and practicing healthy lifestyles. An example is the tax on sugar sweetened beverages imposed in cities such as San Francisco and Berkeley, California, cities where population obesity levels are well below the national average. Unfortunately, this “preaching to the choir” has not moved the needle much in fighting obesity and does not address the key problem of established behaviors among many struggling with unhealthy weights. Consumer segmentation identifies specific subgroups within a population in order to develop key communications messages to motivate action. It has been an important tool for marketers in many industries – packaged food products, restaurants, automobiles, financial services, personal care, retailing and others — but has not been a factor when developing solutions to the obesity crisis. This study uses segmentation analysis to provide a more holistic look at how consumers across all weights are thinking and behaving regarding healthier eating in order to point the way towards more effective approaches that can be deployed by industry, the public health community and regulators. The results of the report spotlight a major disparity between the food-related policies being pursued and the mindsets and motivations of the people these policies are trying to impact. A major disparity exists between food-related policies and the mindsets and motivations of the people these policies are designed to impact: overweight consumers and those having obesity. Consumers having obesity self-reported that they favor taste and value, not health and nutrition, and noted that they made choices more impulsively, often at the expense of healthier eating. On the other hand, healthy body mass consumers said they would be willing to sacrifice taste and value for a product that delivers more health benefits. Healthy weight individuals were more likely to read and act on package labels than respondents who have obesity. The obesity cohort over-indexes on purchases of packaged snacks, sweet baked goods and soda (except for candy) compared to healthy weight individuals. The healthy weight segment is driving concerns about sweeteners. A quarter of consumers who have obesity say they never exercise. Unlike healthy weight individuals, they do not believe that exercise is as important for health. The cost of healthy food remains a barrier for those considered to have obesity. This research suggests that relying on health messaging will not be enough to change behaviors for the obesity and overweight segments. The packaged snacks/sweet baked goods and restaurant sectors need to make commitments to lower calories. “Stealth” measures (e.g., removing calories without communicating the change; portion control) were identified as essential to achieving these goals. Regulators and the public health community must reassess standard tactics and broaden their analytical “toolkit” to ensure more effective food policy across all BMI segments. More BMI segmentation research is needed into overweight/obesity groups to gain a better understanding of their tradeoffs across a full array of products; how to message to them more effectively; and as input to policy development.